Williamson becomes just the third to win the award as a freshman, joining Kentucky’s Anthony Davis (2012) and Texas’ Kevin Durant (2007). The Spartanburg, S.C., native edged out three other finalists for this year’s trophy -- juniors Rui Hachimura (Gonzaga) and Grant Williams (Tennessee) and sophomore Ja Morant (Murray State). 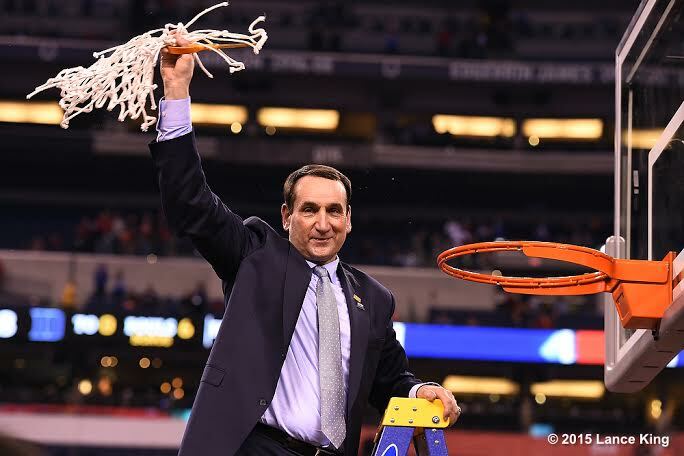 Williamson is the eighth Blue Devil to claim the top honor, giving Duke the most trophy wins by any program. J.J. Redick (2006) was the school’s most recent honoree, with the list of Blue Devils also including Jason Williams (2002), Shane Battier (2001), Elton Brand (1999), Christian Laettner(1992), Danny Ferry (1989) and Johnny Dawkins (1986). 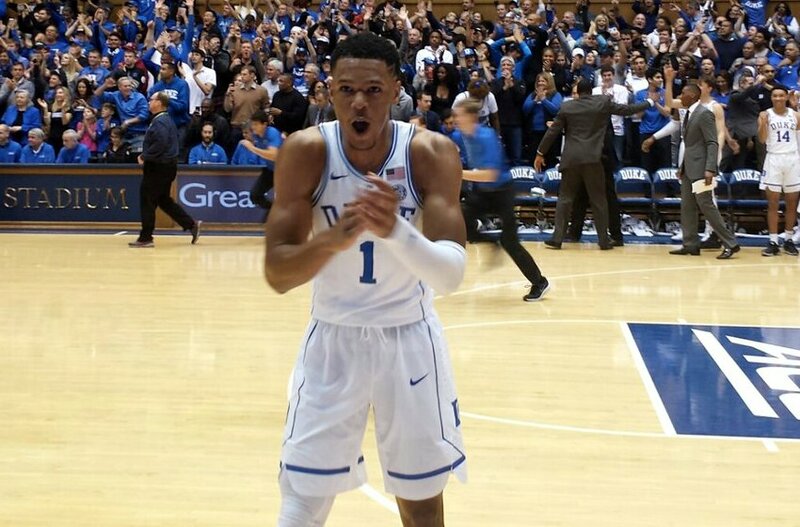 Trevon Duval celebrates with the Cameron Crazies. Duval was saddled with four fouls that limited him to 22 minutes of game play. Duval would come back into the game late and huge three-point shot and score on back to back drives while assisting Wendell Carter Jr. to give Duke an 82-81 lead with 6:27 to go in the game. He would play the rest of the way with four fouls. At the 5:47 mark his only made three of the game would pull Duke back within a single point in what was a back and forth affair where both teams were unstoppable. "I was really upset I was in foul trouble throughout the game because I knew I could help out thee team. But I just hung in there and knew it was time to go and do whatever was needed to help the team win," said Duval who would end the game with 16 points. The Duke team was playing off the emotion of the Cameron Crazies at times and Duval came over to them the next possession down after his made three. "I love those type of games rather than blowouts. I came to Duke to play in those type of games and the ACC is a tough league, so there will be plenty of games like that," said a happy Duval. Duval then commented on Marvin Bagley III and his record-setting night. "It's just amazing. You don't get to play with players like him everyday. So to play with someone so talented it is just fun to watch him and play on the same team." 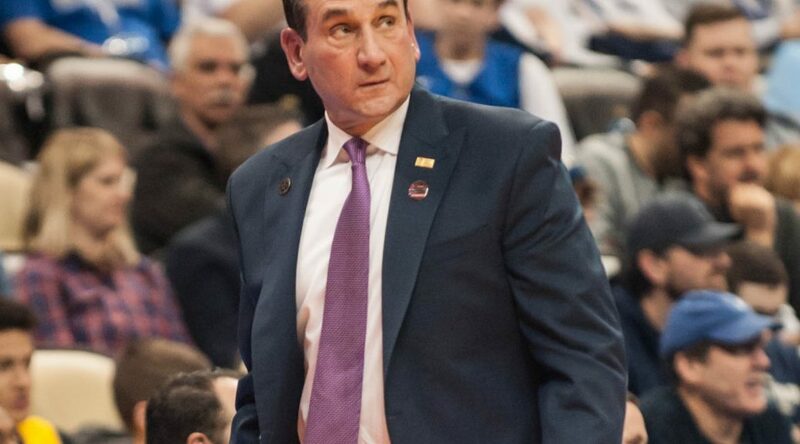 When the dust cleared Duke came away with a 100-93 win in what Mike Kryzewski termed as a great ACC battle to watch. It was clear that both Duval and his coach enjoyed the competitive game. Duval came into the game leading the ACC is assists but had just 4 in the contest which will likely drop him into 2nd place. More to come on the great win. Join BDN Premium during out special where we double your membership. 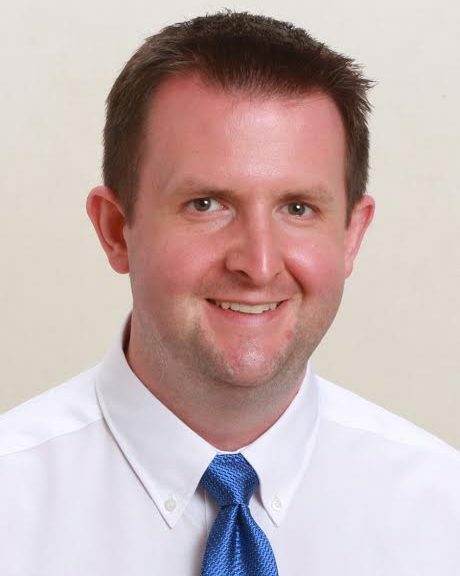 DURHAM, N.C. – David Shumate has been named the Director of Broadcasting for the Blue Devil IMG Sports Network and will serve as the play-by-play voice for Duke football and men’s basketball games, announced on Monday by Pat Streko, General Manager of Duke’s IMG property. Behind the microphone, Shumate replaces Hall of Fame broadcaster Bob Harris, who retired in March following 41 years as the Voice of the Blue Devils. A native North Carolinian, Shumate spent the last five years as IMG’s Director of Audio Operations. His broadcasting experience includes play-by-play duties for the Mid-American Conference championship football game (2010-16), SEC Men’s Basketball Tournament (2011-17) and SEC Baseball Tournament (2013-17). 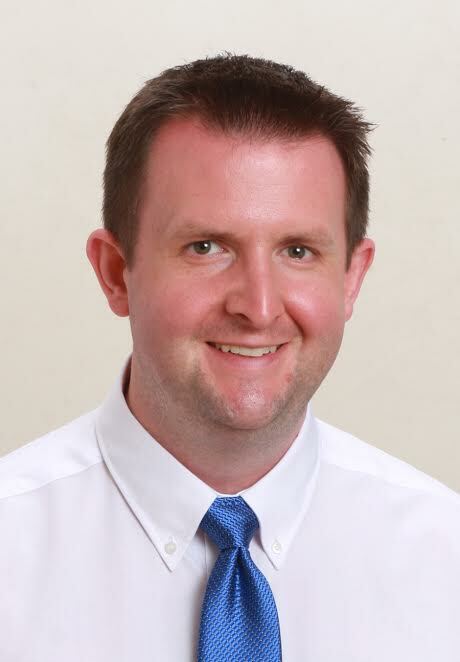 Shumate, who also has handled basketball play-by-play responsibilities for Auburn, Connecticut, Duke, Oregon, Pittsburgh, Vanderbilt, Washington and West Virginia, graduated from Appalachian State University in 2006 with a bachelor of science degree in communication with a concentration in electric media and broadcasting. Shumate will begin his duties on July 1. Duke opens the 2017 gridiron season on Saturday, September 2 at home against N.C. Central. Radio broadcasts on the Blue Devil IMG Sports Network can be heard on a network of stations across the state of North Carolina, on GoDuke.com and TuneIn Radio. A complete listing of network affiliates may be found on GoDuke.com. 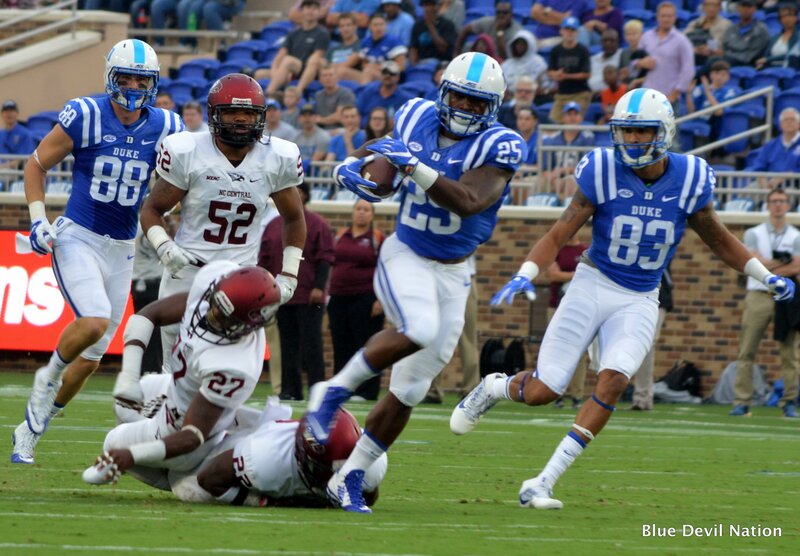 Like this weeks opponent Gaorgia Tech, Duke is coming off a bye week. The two programs have a stand-off tomorrow at hight noon in Atlanta where Duke will try to gain their first conference win. The game will feature the leagues longest reigning active coaches in David Cutcliffe and Paul Johnson. There was a time when the Jackets seemed to enjoy running up the score on Duke but the last two wins are held by the Blue Devils. While you may not see it on the surface or in pre game comments, these two programs don't like each other a lot. In a sense, there is now a rivalry here and there and Duke likes to recruit in Georgia. It took a bit for Duke to get the monkey off their backs with concern to the Jackets early dominance since Johnson's arrival. 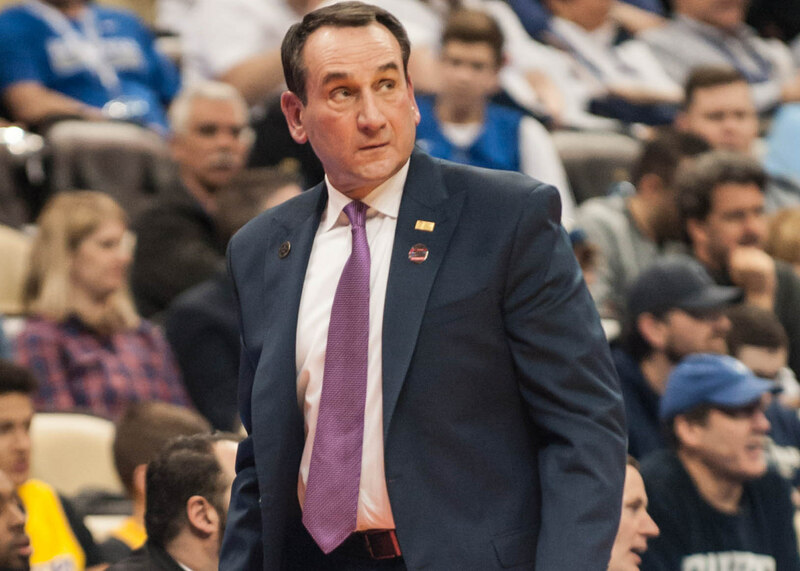 Duke has since close the gap but has taken a step back this year being saddled with injuries. Duke has had some success against the option, but Georgia Tech disguises their plays better than Army and they throw the ball well when needed. Coming into the game, Georgia Tech is listed a 7 point favorite. 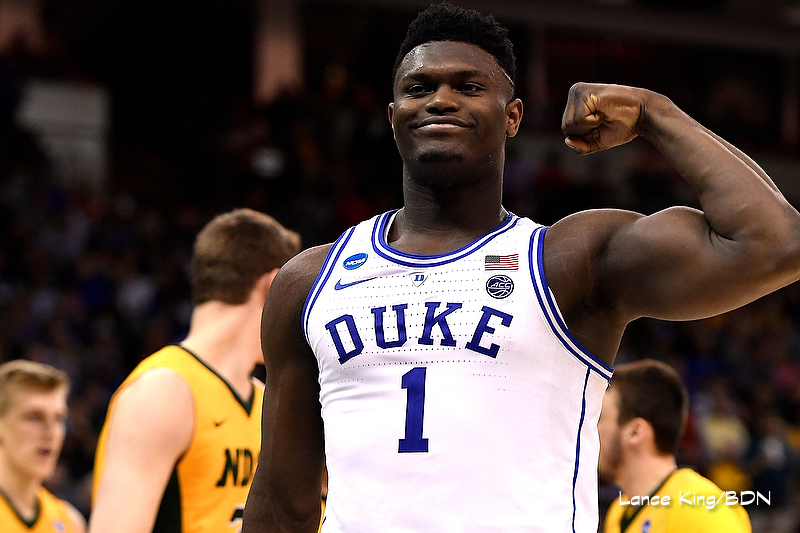 For what it's worth, Duke, 3-4 on the season, will be underdogs in their final five games. This should prove an interesting game. 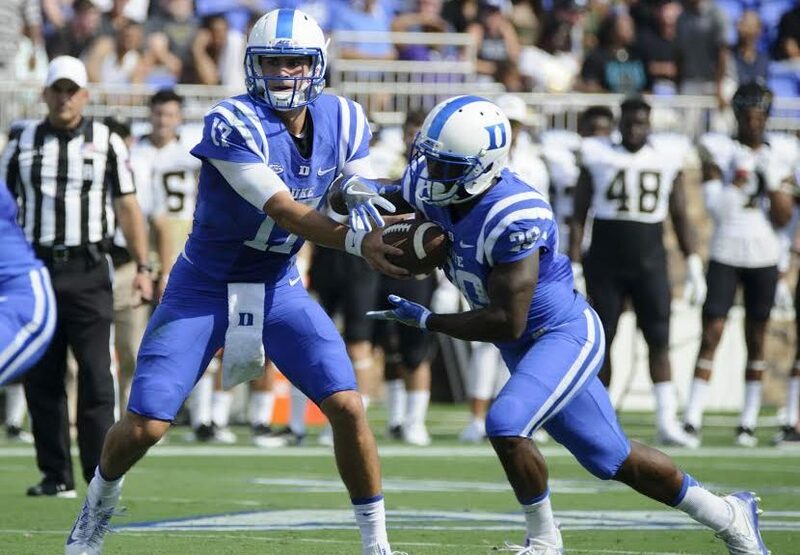 Duke still has hopes of winning games and getting to a bowl. Meanwhile. the Yellow Jackets have had this game circled on their calendar for revenge. What we will likely see is a hard-fought physical game where as usual, turnovers will play a major role. To win, Duke must protect the ball. When they have done so, they've found the victory column, when they haven't they;ve suffered key ACC losses. Expect this one to go down t the wire. We'll take Duke in an upset 28-27. If there are three or more turnovers, the Yellow Jackets will win in double digits.